The new face of Daredevil. It was a big-screen success, but the original Daredevil film starring Ben Affleck as “the Man Without Fear,” Matt Murdoch, has taken something of a beating in recent years, probably due to the failure of the Elektra film, fallout from Bennifer, and various other assorted reasons mostly pointing the blame to Ben Affleck. But Daredevil the character is a great superhero, a crusading lawyer by day and a crime-stopper by night, patrolling the streets of Hell’s Kitchen armed with a couple of clubs and super-powered sonar. Marvel sees the potential, making Daredevil the launch title in their four-series and a crossover Netflix programming schedule for The Defenders. Now they’ve got a lead actor. Charlie Cox will be donning the red cowl of Daredevil in the upcoming Netflix series. The 13-episode season will be overseen by Stephen S. DeKnight, creator of the Starz hit Spartacus. Former showrunner Drew Goddard will be stepping down to concentrate on the Sony Spider-man universe project Sinister Six, though he’ll still be serving as executive producer and is expected to write a couple of episodes for the series. 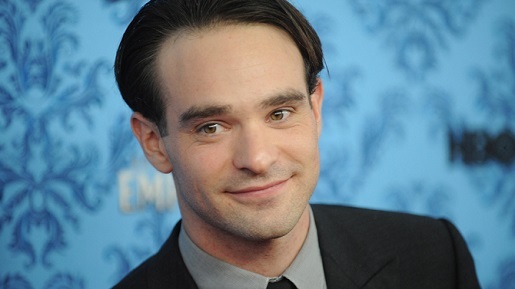 Charlie Cox was a regular on the third season of HBO hit Boardwalk Empire. The whole thing, along with the mini-series for Jessica Jones, Iron Fist, and Luke Cage/Power Man will lead to a street-level version of the superhero team-up called The Defenders, which I am breathlessly excited about.